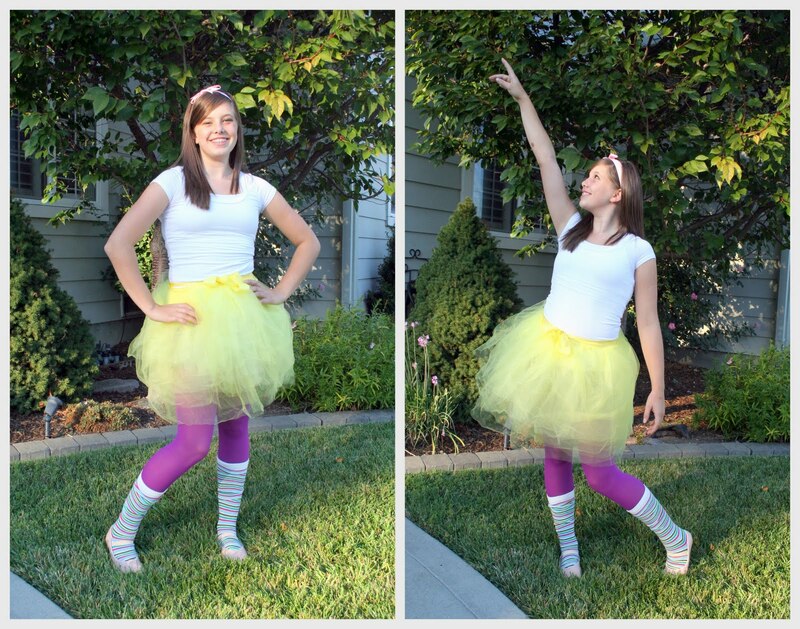 April Kennedy...My Life + My Style: Ready for Halloween? But to already have costumes picked and put together so early for me is huge. And, this by far, has been our cheapest year in the costume department. 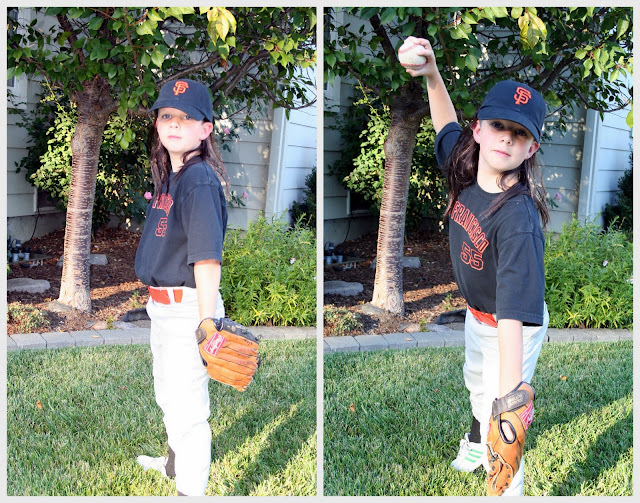 Blake decided he wanted to be Tim Lincecum, pitcher for the SF Giants. Dave + Blake came up with a plan to use a wig attached to his baseball cap. and hot glue gunned it to Blake's baseball hat. That's all we had to purchase...the $6.99 wig. Kaia, at age 13, still wanted to dress up! She decided on being a funky ballerina. Only had to buy tights and socks! She does look darling and funky. Here is a close-up of Blake's long hair. people might think he was a little girl dressed up as a baseball player! But it does help that the SF Giants are heading to the World Series!! He actually does kind of look like Lincecum. The kids attended a Halloween party last week. Blake came home with an award for 'best costume'. I told him how exciting that was. so they put his name on a certificate and gave him one! He definitely looks like a "little Lincecum." Amazingly so! Kais, can I go through your candy? LOVE both of the costumes. Totally fit their personalities.